(RFE/RL) — Within days of being swept up in a wave of arrests on espionage charges last month, at least four Azerbaijani soldiers and a retired military officer died in custody. The circumstances of their deaths are shrouded in secrecy. Azerbaijan’s government and military have refused to comment on the deaths, news of which emerged shortly after authorities in May announced the spy scandal. Journalists who initially reported on the deaths have been warned by the Prosecutor-General’s Office to stop. And most relatives of the dead soldiers are reluctant to speak to journalists, with some expressing fear about their own safety if they do. The silence, Baku’s poor human rights record, and the way Azerbaijan’s military hastily buried the soldiers without letting relatives see their bodies, have fed rumors that the suspects were tortured to death while being interrogated. The spy scandal came to light on May 7 when a joint statement was issued by the State Security Service, the Prosecutor-General’s Office, the Interior Ministry, and the Defense Ministry. It also said they provided “state secrets” to Armenia, which Azerbaijan has been locked in conflict with over Nagorno-Karabakh for decades. The two countries fought a bloody war in the 1990s over the breakaway region of Azerbaijan, which is populated mainly by ethnic Armenians and is now controlled by Armenian-backed separatists. Azerbaijan’s authorities have not named any individuals accused in the spy case or specified how many suspects were arrested and charged. But Ilham Ismayil, a former State Security Service officer, told RFE/RL that a total of 42 people were arrested in raids during May — mostly in the Terter region. Ismayil told RFE/RL that the spy scandal stemmed from an incident in late 2016 when a group of Armenian military officers allegedly were allowed to cross from Nagorno-Karabakh and travel behind Azerbaijan’s front lines with the help of Azerbaijani officers. He said some Armenian officers were given Azerbaijani military uniforms to wear and that they traveled to the center of Terter — a city that was heavily damaged by Armenian forces during the Nagorno-Karabakh war in the early 1990s. State Security Service chief Madat Guliyev said the roundup of spy-ring suspects was ordered by President Ilham Aliyev after investigators under Guliyev’s command provided evidence to both the president and the Defense Ministry. Based on that evidence, the Defense Ministry took action. Neither the State Security Service nor Azerbaijan’s government has publicly disclosed the nature of the intelligence the suspects allegedly provided to Armenia. And, so far, there have been no public court hearings for any of the suspects. Yadigar Sadiqov, a politician from the opposition party Musavat, has suggested that the deaths in custody of so many suspects just days after their arrests is highly suspicious. “We don’t believe they died of natural causes,” Sadiqov wrote in a May 20 opinion column for the Baku-based online newspaper Bastainfo.com. Sadiqov also suggested many people in Azerbaijan assume the suspects were tortured to death, noting that “across social media, there are people saying the government was justified to torture and kill” them. 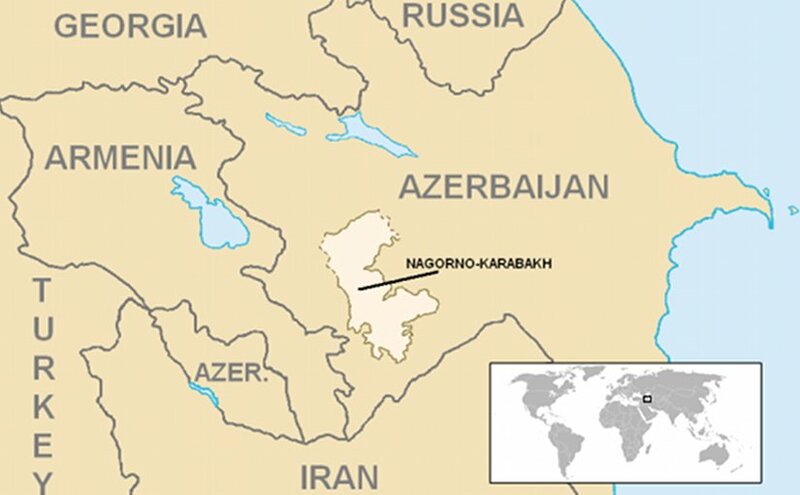 In each case, the suspects were detained in raids close to the contact line that separates Armenian-backed and Azerbaijani forces near Nagorno-Karabakh. Within days, their dead bodies were returned to their home villages and buried by soldiers who did not allow relatives to see them. Opposition media in Azerbaijan that have reported about the deaths and burials have been officially warned they would be prosecuted for revealing “state secrets” if they published any more information about the spy case that wasn’t officially released by state institutions. With the exception of a cousin of one dead soldier who spoke only on condition of anonymity because he feared retribution from authorities, relatives of the deceased suspects have refused to talk to RFE/RL or other media organizations. Amnesty International confirms that it has received complaints from sources within Azerbaijan alleging that the soldiers were tortured to death. But Levan Asatiani, Amnesty International’s campaigner on the South Caucasus, says his organization cannot immediately confirm the torture claims because Azerbaijan has become a “closed country” that blocks the work of international human rights researchers. He said Azerbaijan has a well-documented history of using torture to induce false confessions from political prisoners who are lawyers, journalists, and opposition activists. “You could say that the use of torture is a trend in Azerbaijan,” Asatiani said. Namized Safarov, a Baku-based human rights lawyer, told RFE/RL that a retired military officer named Saleh Qafarov was arrested on treason charges in early May at his village of Aydinqyshlaq in the Gabala region. Safarov said Azerbaijani soldiers returned Qafarov’s body four days later for burial in the village, but Qafarov’s relatives never saw his remains and were not allowed to attend the burial. Since then, Safarov said, Qafarov’s family has faced “heavy harassment” from other villagers angered by the treason allegations. Qafarov’s children have been expelled from school. Imran Cabbarov, the head of the local government in Aydinqyshlaq, confirmed that Qafarov died in custody. Bastainfo.com and the Berlin-based independent website Meydan TV reported similar circumstances when the bodies of other suspects in the spy case were returned to their villages. Temkin Nizamioglu, a 24-year-old lieutenant from the Ordubad region near Azerbaijan’s southern border with Iran, was one of at least three active military officers reportedly arrested in the case. Nizamioglu was buried in his village of Darkend by Azerbaijani soldiers who returned his body. “It’s true that his body was brought to the village for burial, and according to the soldiers who brought him, he had heart problems and died in a hospital,” the village’s municipal chief, Raqib, said. The body of officer Elcin Quliyev was delivered for burial in his town of Terter on May 18 shortly after he was arrested in the spy case. A cousin of Quliyev, who spoke on condition of anonymity, told Meydan TV that the soldiers who returned his body didn’t give the family any details about the cause of his death. “They just said they were investigating the issue and would inform us about the cause of his death when that investigation is finished,” the cousin said. Mehman Huseynov, a military officer from the village of Agkend in the Terter region, also died in custody within days of being arrested in the spy case. Local residents refused to allow Huseynov to be buried in the village cemetery because of the treason accusations against him. Meydan TV also reported that a 32-year-old soldier named Elcin Mirzaliyev was buried in his village of Shalig in the Ucar region, within days of being arrested in the case. That report said Mirzaliyev died on May 25 and was returned to his village the next day by soldiers who buried him without allowing relatives to see his body or attend his burial. The head of Shalig’s municipality, Arif Ahmadov, confirmed that Mirzaliyev was buried but would not give any details about the cause of his death. There have been anonymous claims on social media that other Azerbaijani soldiers have died in custody after being arrested for treason in the spy scandal. RFE/RL could not confirm the veracity of those reports or attest to the reliability of the sources.